Palm print on top and bottom border with gold foil-look "hello, gorgeous" script. Add a pop of design to your bathroom with our moisture repellent 100% polyester shower curtain with a 12 button-hole top. Machine washable and dryable. Shower curtain ONLY - no rod, hooks or liners included. 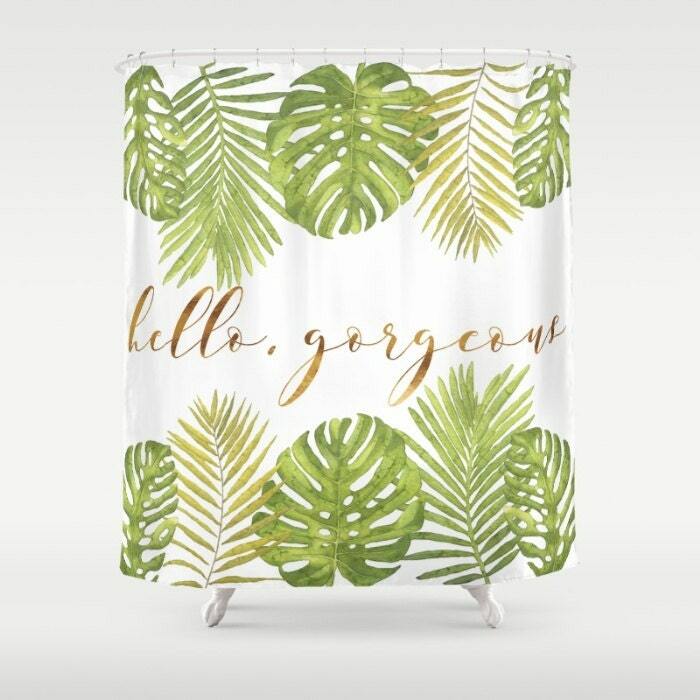 This shower curtain will be made to order and should take about 1-2 weeks to ship, then allow additional time for shipping based on destination.